Spacious, charming, and beautifully updated, this four-bedroom home in Port Charlotte expresses grace and comfort with lovely indoor and outdoor living areas. Set on verdant grounds, an impressive entry experience brings you to double doors where sunlight sparkles into the foyer. The living room presents a dramatic picture with soaring ceilings and newer wood laminate flooring that flows into the dining room. The kitchen invites enticing meals, remodeled in 2015 with newer stainless steel appliances, new wood soft close cabinetry with granite counters and breakfast bar. An eat-in area opens to the covered lanai. The master suite is sumptuously-sized complete with large walk-in closet, dual vanities, a walk-in shower and garden tub for relaxing evenings at home. Three additional bedrooms, guest pool bathroom, spacious laundry room, and generous closets ensure space for all. The pool deck and covered lanai is an ode to outdoor living. Enjoy special family meals in the shade or make every day feel like a vacation as you take a dive into the newly resurfaced pool. Newer features include: toilets, plumbing, insulation in attic, guest bath re-tiled in shower and tub, roof, air conditioner, interior and exterior paint. 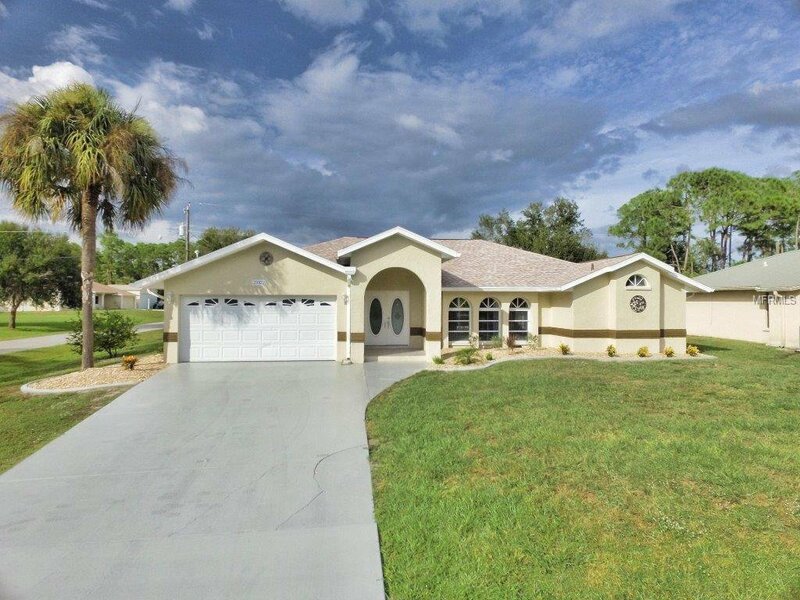 Enjoy the beauty of Southwest Florida near golf courses, I-75, Charlotte Harbor, and the Peace River. Listing courtesy of MICHAEL SAUNDERS & COMPANY. Selling Office: NON-MFRMLS OFFICE.